Home Brands BOB NEW! 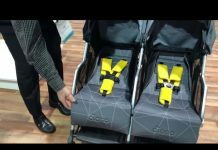 Bob Gear Pro Alterrain Stroller! This new Bob Gear Pro Alterrain Stroller has been completely redesigned! Bob has added new game-changing features like the waterproof canopy that can withstand all types of weather, a quick one hand fold with the ability to self stand, and a cover on the storage basket to keep your items safe and dry. They have also added new safety features, with light reflectors on the wheels and light reflection on the canopy. The Gear Pro still has the 9 position handle, the compression seat for comfort, as well as the 5-point harness and no re-thread. Stay tuned for new details soon! 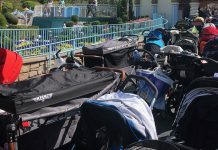 Previous articleDisney Stroller Ban Policy: Which Strollers & Wagons Break the 2019 Rules! Next articleNew! Britax One4Life All-in-One Carseat!